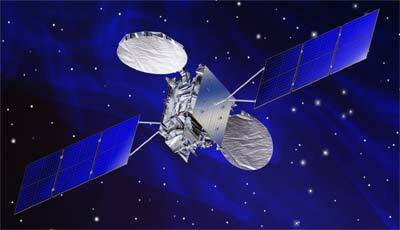 Lockheed Martin has been in December 2008 awarded a contract by the Broadcasting Satellite System Corporation (B-SAT) and SKY Perfect JSAT Corporation (SKY Perfect JSAT) of Japan to build their next geostationary broadcasting and telecommunications satellite. Designated BSAT-3c/JCSAT-110R, the satellite was launched in the third quarter of 2011 aboard an Ariane-5ECA launch vehicle provided by Arianespace. BSAT-3c/JCSAT-110R's two independent Ku-band payloads incorporate 12 direct broadcast channels and 12 fixed direct communication channels with uplink and downlink coverage over Japan. The spacecraft will be located at 110 degrees East longitude after delivery in orbit. BSAT-3c/JCSAT-110R is required to meet a 15-year service life and will be designed with over 95% flight-proven components integrated into the highly reliable A2100A platform manufactured by Lockheed Martin Commercial Space Systems (LMCSS), Newtown, PA.